This insect is a generally common but minor pest of cultivated plants, most notably fruit crops (especially loganberry, raspberry and strawberry) and ornamentals; attacks also occur on sugar beet and other field crops. Infested foliage is contaminated by 'cuckoo-spit' (this is often an inconvenience to strawberry pickers), and young infested tissue may become distorted; direct damage to host plants, however, is of no economic importance. Adults are active from June onwards. They rarely fly but spring into the air when disturbed. Eggs are laid in September, typically in batches of up to 30. The eggs hatch in the following spring and sedentary nymphs then feed on host plants, each individual imbibing sap and surrounding itself with protective, spittle-like froth which forms the familiar 'cuckoo-spit'. 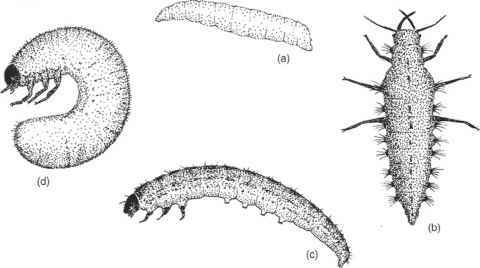 Nymphs develop through five instars before moulting into adults. Adult 5-7 mm long, stout-bodied, frog-like, pale whitish-yellow to black; elytra often noticeably patterned. Nymph plump, pale and shiny; eyes purplish.